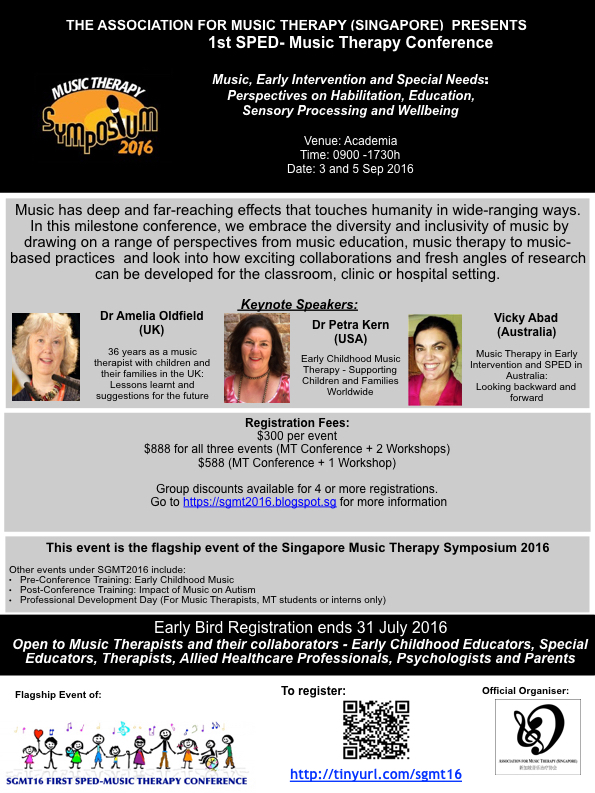 Inaugural SPED Music Therapy Conference in Singapore: SGMT16- Who are the Trainers? SGMT16- Who are the Trainers? SGMT16 is pleased to feature three distinguished experts in our panel — Vicky Abad, Dr. Amelia Oldfield and Dr. Petra Kern! Vicky Abad is a Registered Music Therapist, Academic, Researcher, Business Owner and mother. 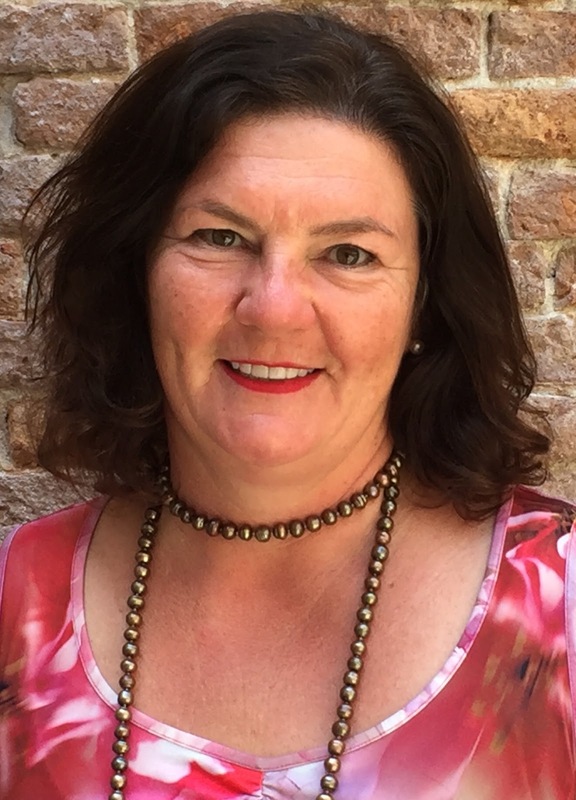 She is Managing Director of Boppin' Babies, a company that provides music early learning, music therapy, and music education to families and children around Australia, and works at the University of Queensland as a researcher and lecturer. 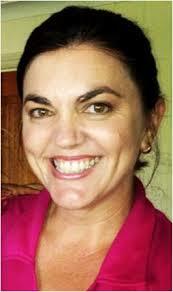 She is the Founding Director of the largest early intervention music therapy program in Australia, Sing & Grow. Vicky has extensive national and international clinical experience in paediatric and early intervention music therapy and has lectured in Australia and overseas on music therapy and music early learning. Dr. Petra Kern is the owner of Music Therapy Consulting and adjunct Associate Professor at the University of Louisville, USA. Her award-winning research on Autism Spectrum Disorder and inclusion conducted at UNC at Chapel Hill has been published in prestigious journals. 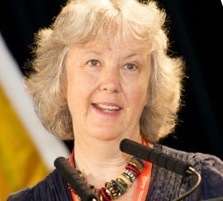 A former President of the World Federation of Music Therapy (WFMT) and recipient of the 2014 WFMT Service Award, Dr. Kern continues to serve as editor-in-chief of imagine, the Board of Directors of the Certification Board of Music Therapy (CBMT) and sits on various committees while being an active international speaker and guest lecturer.